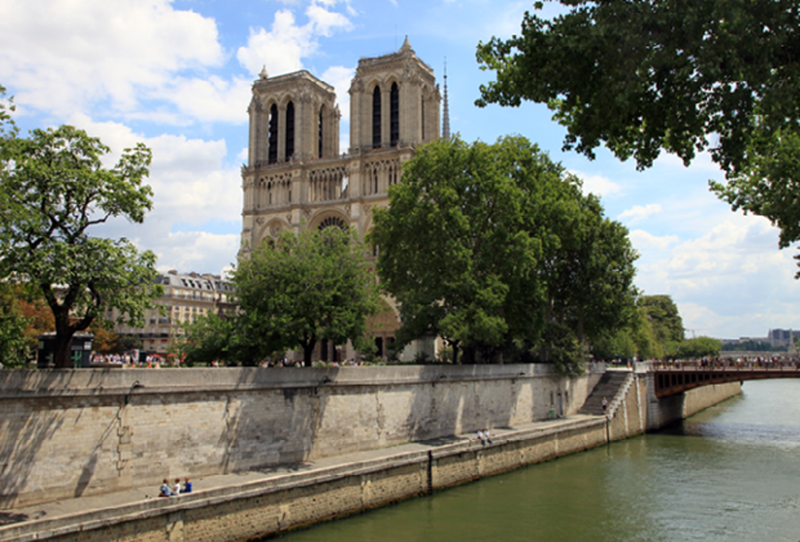 There’s no city on earth quite as lovely as Paris for both the penniless romantic and the well-to-do traveler. Whether you’re planning on slumming it Hemingway-style, going full-on Marie Antoinette, or something somewhere in between, the City of Lights has a place for you. We searched high and low to bring you the best accommodations for your Parisian adventure, whatever your budget may be. Not a picky sleeper and looking for an unforgettable experience in Paris? 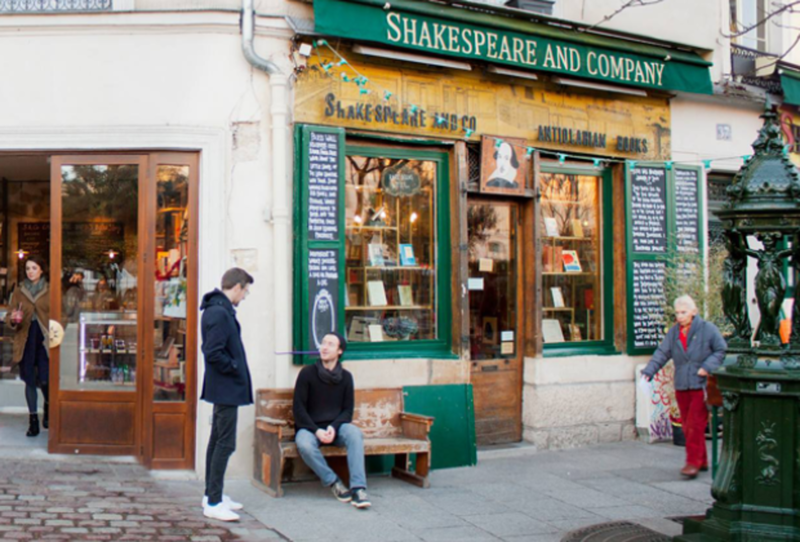 You might want to consider “tumbleweeding” at Shakespeare & Co, the English-language bookshop tucked away by the Seine within view of Notre-Dame&apos;s spires. The current incarnation of the shop was founded by George Whitman in 1951, who instituted a tradition of letting guests stay for free with the request that they read a book a day, work for a few hours in the shop, and write up a single-page autobiography for the archives in exchange. Whitman’s motto, “be not inhospitable to strangers lest they be angels in disguise” is painted on a lintel in the bookshop, and guests are called “tumbleweeds” (his self-appointed nickname, reflecting his life as a traveler sheltered by the grace of strangers). 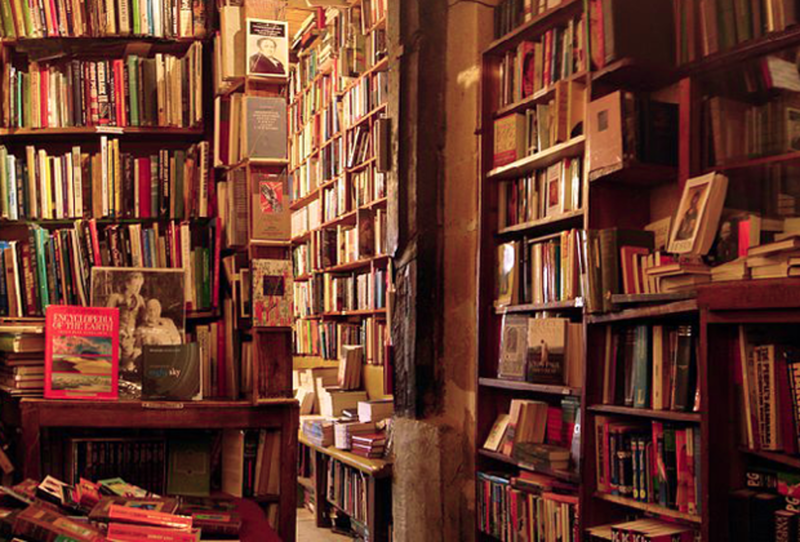 Shakespeare & Co., we hope our paths croissant someday. You&apos;ll sleep for free in one of the beds tucked away amongst the books. The bathroom and a little kitchenette are communal, so this option is not for anyone overly concerned about privacy…or early nights. But, you get what you pay for (or don’t, in this case), and you’re sure to have some interesting stories to tell afterward. 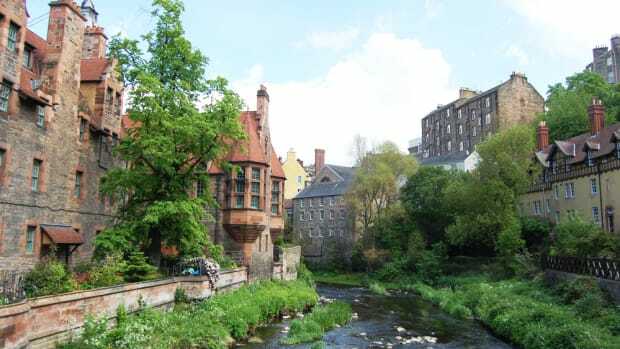 European youth hostels can be hit or miss, but this gem is clean, classic, in a picturesque renovated seventeenth-century building, and in a charming neighborhood. 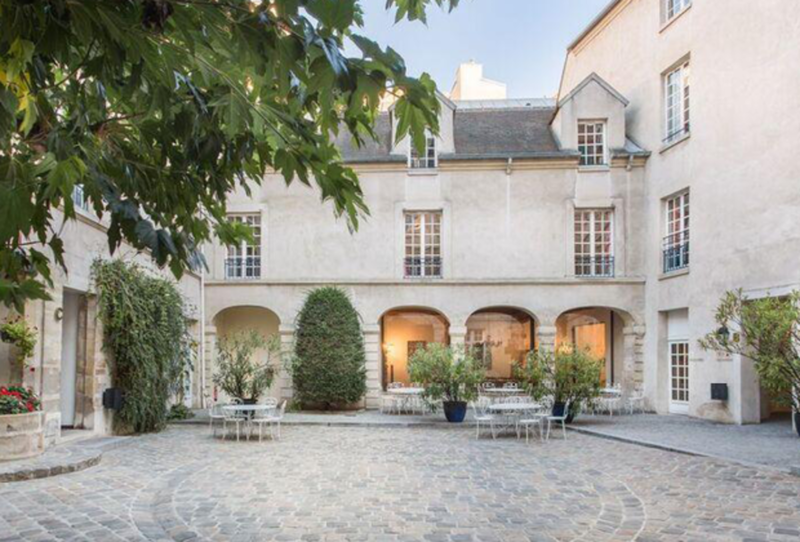 MIJE owns three buildings in the Marais district, just a ten-minute stroll from the Seine and Notre Dame, making this the perfect base from which to explore the city. Breakfast is free and bed linens are included (but not towels); prices start at $28.30 for a single bed in a dorm room. MIJE&apos;s three hostels are in the same location and all share that quintessential Parisian charm. If you know where to look, the Parisian visitor is spoilt for choice for charming and reasonably priced hotels in the heart of the city. Take Hotel Saint-Louis en l’Isle: prices start at 165 euros a night, with beautiful rooms in one of the best locations in Paris, right in the center of it all on the Ile Saint-Louis in the middle of the River Seine. 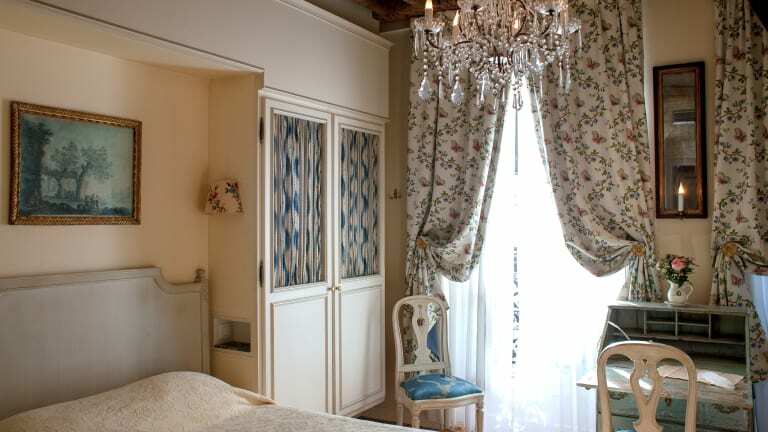 If you’re looking for a quintessentially French bolthole, you’ll love the exposed beams, toile patterned decor, and antique-style furniture at the charmingly blue Hotel Caron de Beaumarchais. Within easy reach of the Louvre (and other major attractions), rooms start at 130 euros a night. 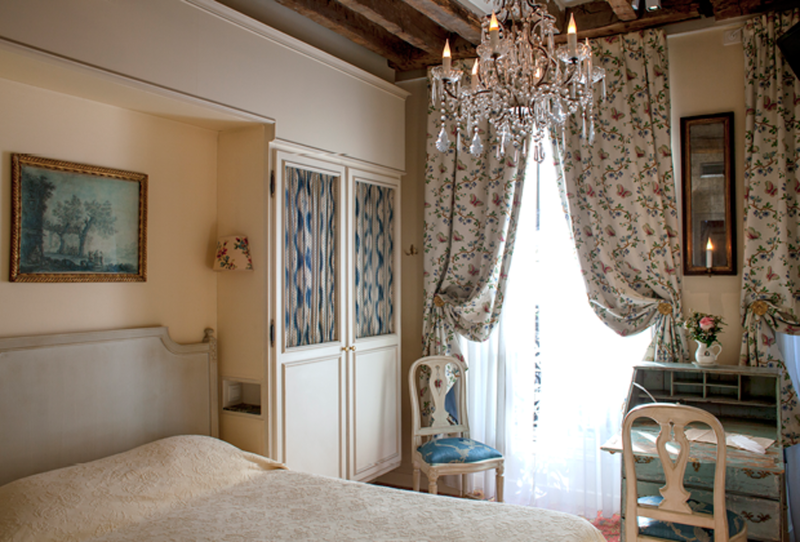 This romantic chambre in Hotel Caron de Beaumarchais will certainly do. If you’re more of a minimalist, Hotel Arvor Saint Georges, at the foot of Montmatre is for you—arguably one of the most lively and interesting spots in Paris. Room prices start at 130 euros a night, and some include views of the iconic Parisian rooftops. Airbnb is ripe hunting ground for a stay that won’t break the bank, and Paris is one of the most popular cities on the platform. 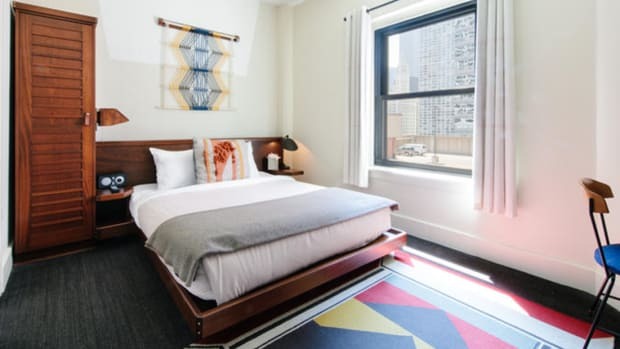 You’d be surprised how many gorgeous, atmospheric apartments you can find at cheaper rates than the average hotel. Take this chic artist&apos;s studio apartment for two at $90 a night: it’s within easy walking distance of the Jardin du Luxembourg. 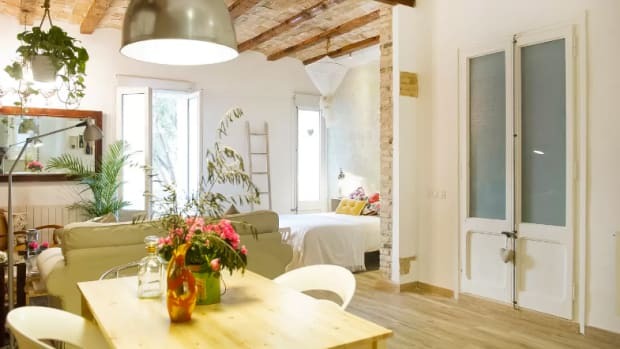 If you’re traveling in a group, this cutely appointed apartment on the Ile Saint-Louis accommodates four people for $174 a night (squeeze two more for an extra $41). Full of light and with beautiful views, this is the perfect space to live out your dreams of being a native Parisienne. Why, yes. oui would love to lounge on these chic violet velveteen chairs. 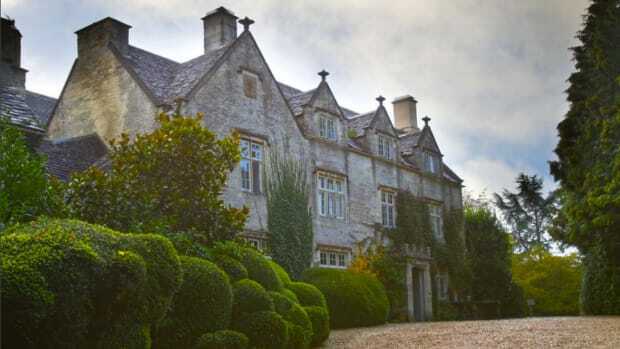 Get one glimpse of this hotel’s serene ivy-covered walls, and you’ll be intrigued by the luxurious, peaceful oasis tucked away from bustling crowds of tourists. Set back from the fairy tale–esque Place des Vosges in its own private courtyard, Le Pavillon de la Reine is so named because the Queen of Austria once stayed here. If you ever venture away from the delights of the in-hotel spa, outdoor bar and terrace, you’re just a stone’s throw away from a gorgeous salon de thé with colorful macarons and scrumptious pastries piled high in the windows, numerous classic eateries and art galleries. Prices start at 297 euros a night. We can almost hear Le Pavillon de la Reine sigh, "Don&apos;t hate me because I&apos;m très beau." For more overt glamor and exotic luxury, look no further than L’Hotel. 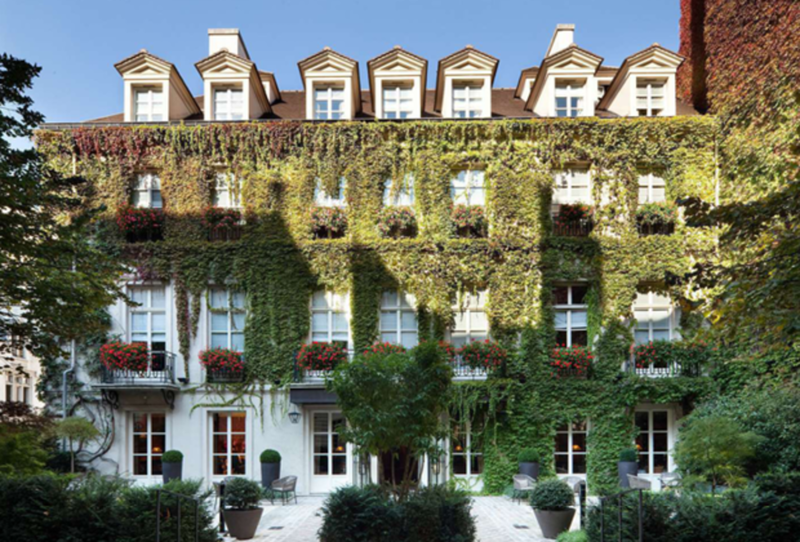 Located on the Left Bank in the bohemian area of St Germain-des-Prés, it claims the title of the smallest five-star hotel in Paris, and is home to a Michelin-starred restaurant and bar. L&apos;Hotel guests are allowed exclusive access to a secluded pool and steam room, and hey, if it’s good enough for the likes of Oscar Wilde, Princess Grace, Frank Sinatra, and Elizabeth Taylor, it’s good enough for us. Rooms cost upward of 305 euros a night for the smallest suite. Airbnb is a great option for the traveler on a budget, but there is also no shortage of more luxurious pads on offer, either. 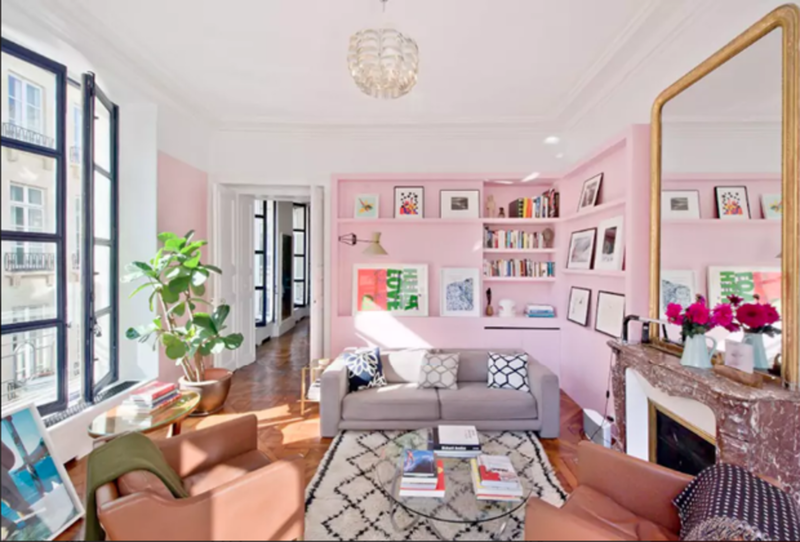 This spacious pink and blue apartment with its high ceilings and no less than five marble fireplaces in St Germain is so chic it was featured in French Elle Decor. 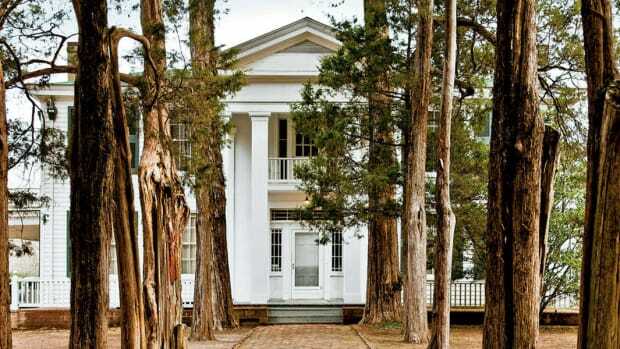 With three bedrooms and three baths, it accommodates up to six people for $817 a night. This French Elle Decor-worthy Airbnb would be just the place for Breakfast At Tiffany&apos;s eclectically feminine Holly Golightly. Want to take the private Parisian apartment game up several notches? 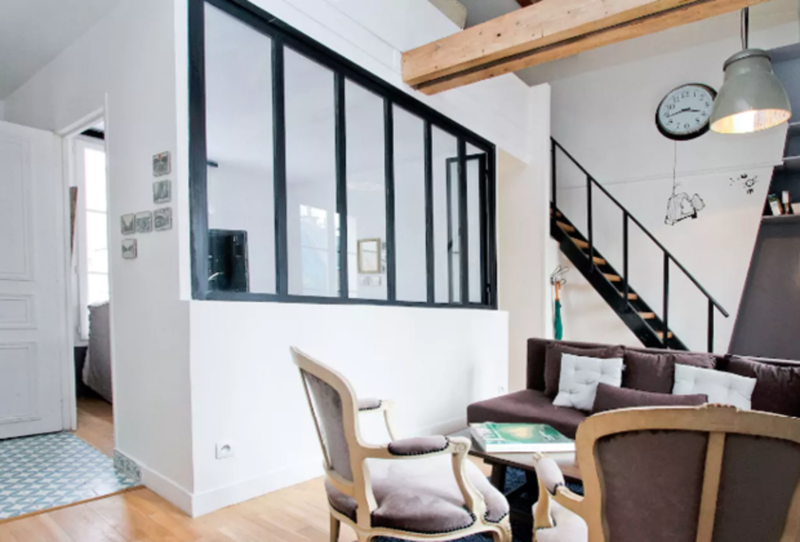 The website Haven in Paris features the ultimate short-stay boutique apartment rentals, where classic French style meets modern, air-conditioned luxury. Take this glorious two-bedroom, two-bathroom St Germain apartment near the Jardin du Luxembourg, for example. You may be tempted to stay in and throw your own dinner parties in its ridiculously elegant kitchen and dining room. Prices start at $5,100 a week for four. This whimsical “artist’s penthouse” has more of a shabby chic vibe, but is no less comfortable or extravagant—it has stunning views of the city and a private balcony. Prices start at $2450 a week for four people. To paraphrase Hemingway, if you’re lucky enough to go to Paris, the experience will stay with you for life. And, whether you stay in Oscar Wilde’s sumptuous rooms or in a shabby bed nestled amongst stacks of dusty books, you&apos;re bound to find a part of the city that feels like home.